The trial of Jon Woods, applicants’ attorney for workers’ compensation claimants, will continue this week to its closing arguments in Orange County Superior Court. Woods is an attorney who has practiced in Signal Hill, an area of Long Beach, California. 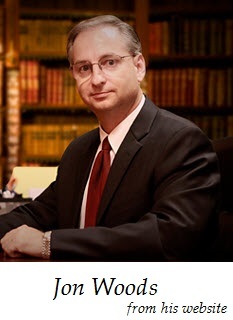 On March 6, 2019, William Todd from the California Bar Association testified as a prosecution witness. He began his testimony by stating that he has been an attorney for approximately 10 years. He has worked for the California Bar Association for over seven years, and for almost the past two years has worked for the Chief Trial Counsel. It was pretty obvious the prosecution wanted the jury to hear what the rules are for attorney advertising and for attorney client referral. William Todd made a distinction between the two means for lawyers to get clients. They can advertise, which includes jointly advertising, or they can get clients from a certified referral service which must be certified by the California Bar. A joint advertisement must list the attorney names within the advertisement with the phone numbers where the attorneys can be reached by respondents. William Todd: So, the distinction is that if the attorneys are jointly advertising and they are identifying themselves in the advertisement, that’s considered to be a joint advertisement. If there is just a phone number, for example, without identifying the attorneys behind the activity or that are going to receive the information, that falls into the referral activity category. Carlos Arguello, a rogue marketer, who had a marketing agreement with Jon Woods and who testified earlier in the trial, “advertised” for Jon Woods. He had a call center in Tijuana where he reeled in clients via fliers, business cards, and cappers. He did not put Woods’ name and phone number on the ads. When potential clients called, he did not answer as a certified referral service. He had no certification at all with the California Bar. William Todd testified that a lawyer has a duty of confidentiality, a duty of loyalty, and duties of disclosure regarding conflicts between clients, conflicts between the lawyer’s interest and the client’s. The lawyer is obliged to protect the client fund and property. He or she must maintain the client file and protect client’s interest at every opportunity. Confidentiality is a big thing. William Todd: There is confidentiality which is very broad. There is a lot in there. It is even hard to list everything. I think you will find that there is a lot of confidentiality. The client’s interest is interpreted broadly. The article that deals with legal advertising, Todd testified, is in section 9.5 of the Business and Professions code. He had everything printed out in case he needed to refer to it. William Todd:Then, legal advertising is not as broadly discussed in the rules of Professional Conduct, but there is really just a rule that establishes that there are some limits on advertising. And then follow-up to the rule, there is standards quoted and it gives a long list of examples of prohibited advertising-types communications. Prosecutor Noorul Hasan: Okay. Now what is the purpose of all these rules? What are these rules trying to accomplish? William Todd: Well, the purpose, in looking at what the rules tend to exclude, the purpose seems to be to make sure that attorneys are not engaging in conduct that is, you know, ideally, not just factually true. So, the rules seem to protect against misleading conduct. They protect against attorneys making guarantees about an outcome. Noor Hasan then asked whether lawyers in the state of California are permitted to use marketing companies to advertise their services. William Todd: As long as you comply with the rules… all of the rules that would apply as if you were advertising yourself. You have to comply with those rules in the same way. It is effectively an advertisement for yourself. Todd testified with some repetition that attorneys that are jointly advertising have to provide their contact information for the respondents to use to make contact directly. But, of course, Carlos Arguello never provided any direct contact information in his ads. He controlled everything. The numbers provided in his advertisements were the numbers to his call center. Then, the cappers in the call center regularly decided which attorneys would get which clients. Arguello testified that his people made three-way calls including the attorney, but added in his testimony this did not always happen. Thus, he conceded to the fact that he and his employees and associates were making the decisions on which clients the lawyers they marketed for would accept. William Todd: My reference is simply to Business and Professions code—I believe 6155 (H). This witness was too dependent upon the actual documents themselves. He should have had a paraphrase in his head, in his own words. If one knows the material, one can do this. The prosecutor had to ask, a couple of times, “Would it refresh your recollection” if he read from his documents. Then, she had to ask for permission from the judge. He couldn’t talk about what in general are the requirements for an attorney referral service. He had to constantly look at the statute. He couldn’t do it otherwise. Then, all he did was read section numbers and never answered the question. William Todd stated to the prosecutor that he may not have answered the question, and Noorul Hasan told him that he did. But this writer didn’t hear or comprehend an answer. The witness further testified that, ultimately, a law practice has to be run by attorneys and not by non-attorney staff. William Todd: What clients the law firm accepts should be made by an attorney. The witness explained further that attorneys have to know how many clients they have. Therefore, a non-attorney cannot decide upon and create those numbers for the attorney. Also, if a non-attorney says to a client, “We will take care of it,” for example, that individual then is practicing law. William Todd: Whenever you see a situation or I see a set of circumstances where there is a gap between the attorney and the client that is not effectively bridged, then the likelihood that there is unlawful practice in between those two is extremely high. The attorney needs to be the one responsible for the client’s acquisition. The attorney needs to meet the client. This witness furthered by talking about situations where there is a complete disconnect between the attorney and the client. These situations constitute an unlawful practice of law. For Carlos Arguello and his staff to choose clients for workers’ compensation applicants’ attorney, Jon Woods, and other applicants’ attorneys; to work in their back offices sending out subpoenas to every possible location; to send injured workers to medical offices without ever meeting the attorney, is a decided disconnect. This information came out in the testimonies of Carlos Arguello and Dulce Gallegos, who worked for Carlos, before William Todd reached the witness stand. Proceedings in this trial will continue on April 3, 2019.